I figured you brits had better connections than US. not always lol, whats strange about my internet connection is that my ping is Great but my Download speeds are supposed to be up to 10mbs and the MAX i can get is 3.4 (even off-peak hours), and i live really close to the line thingy outside. 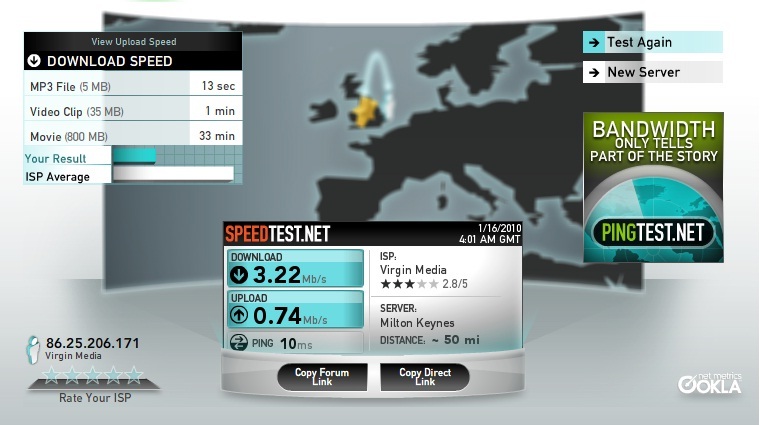 I've been thinking that it could be my router, will buying myself a good one boost my download speeds? Thanks for the Imput Hardnrg! ^Unable to test packet loss? Sometimes having such low ping is bad, people claim you're "ping-hacking" in games.